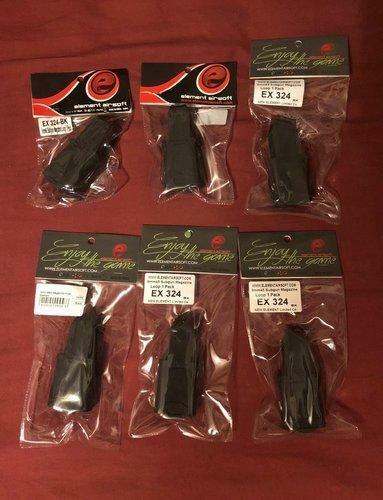 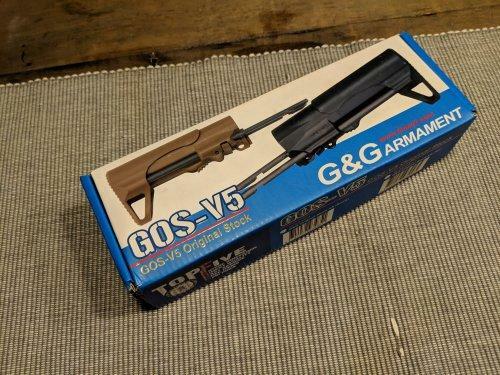 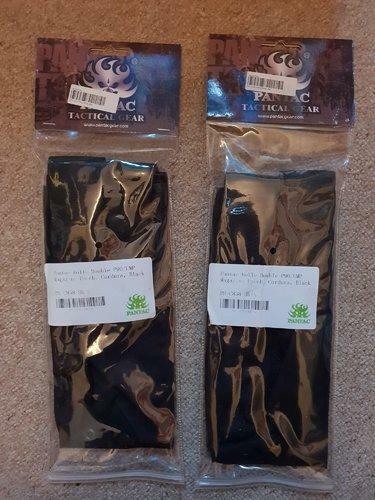 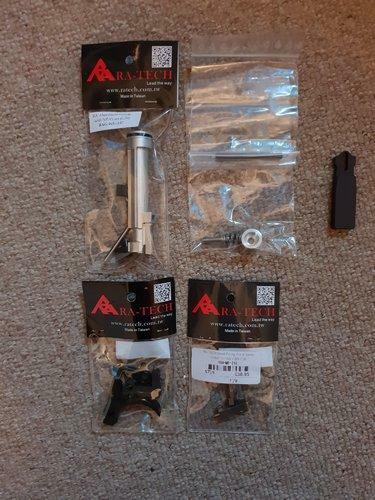 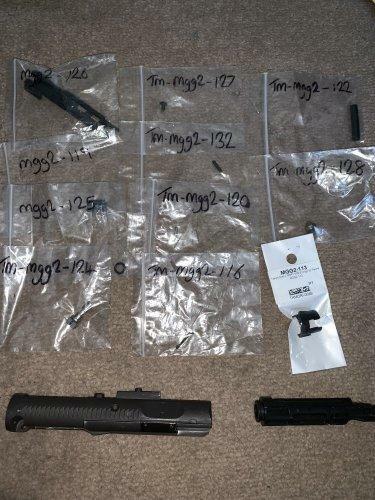 RA-TECH upgrades for the WE G39 series of rifles, all brand new in packaging minus the charging handle which has been removed but never fitted. 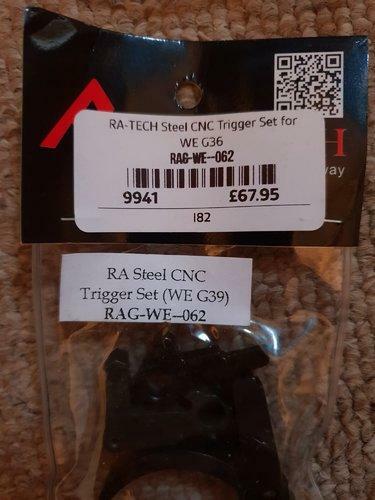 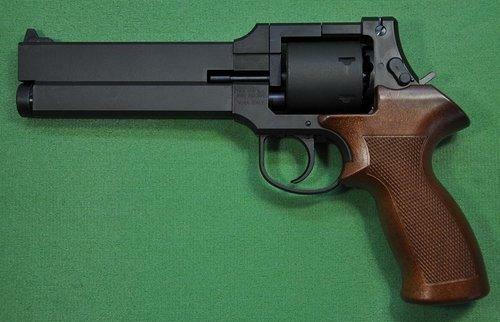 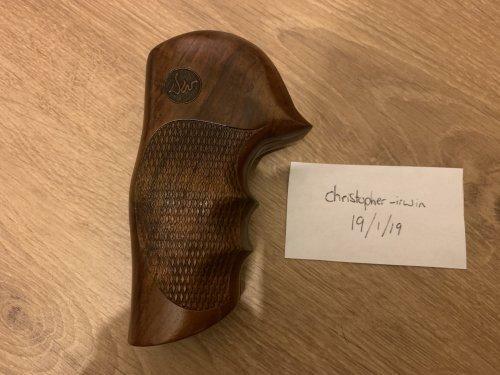 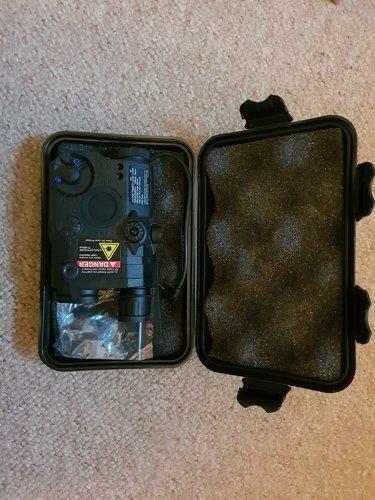 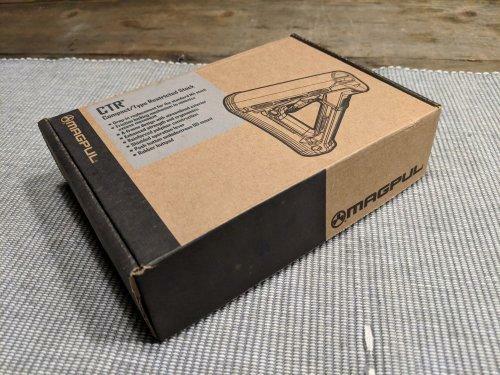 Steel Trigger Set, contains all trigger box upgrades, retails £67.95, asking £50 all in. 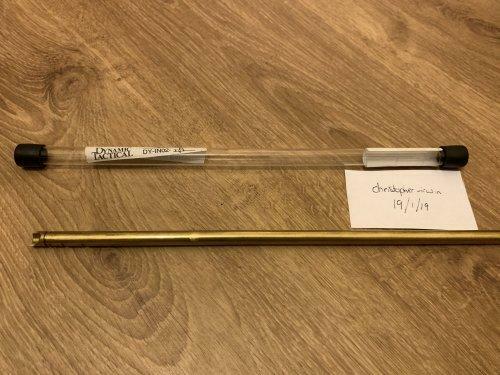 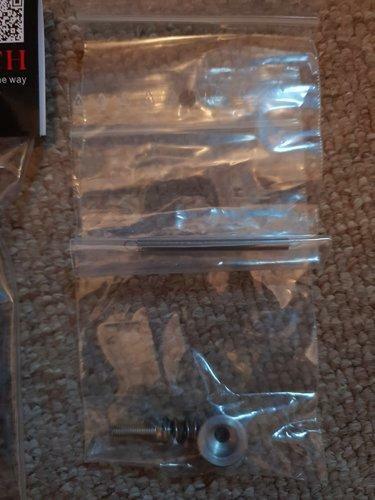 Steel Firing Pin and Valve Locker, retails £38.95, asking £25 all in. 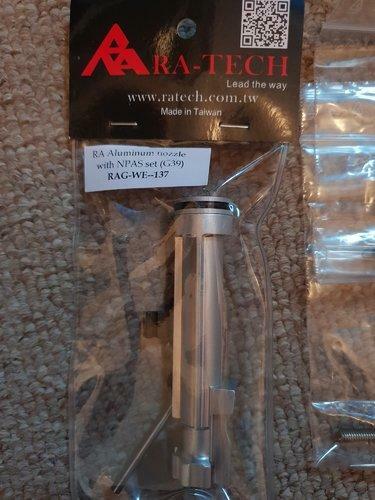 Aluminium Nozzle and NPAS set, retails £82.95, asking £65 all in. 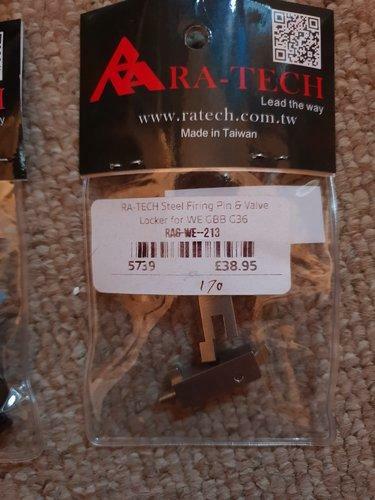 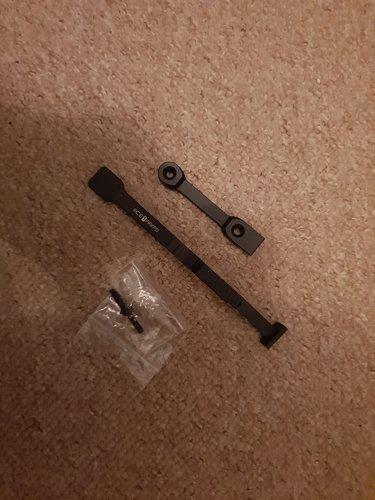 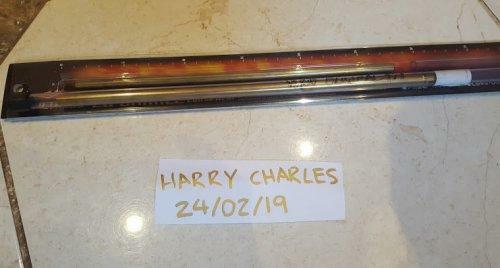 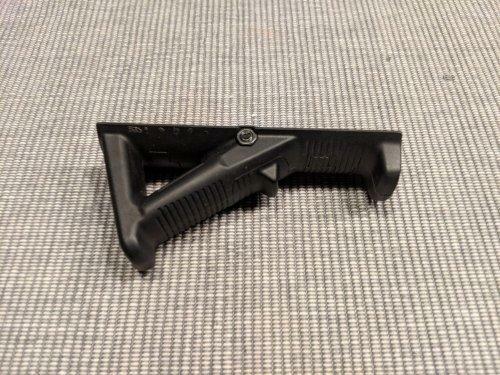 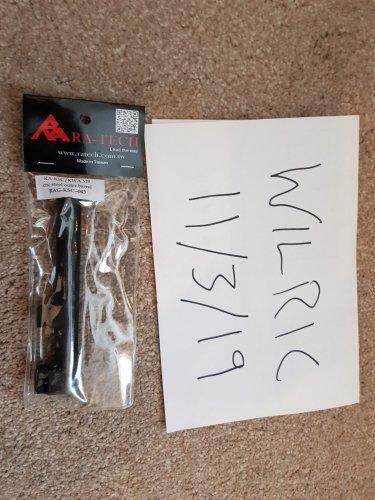 RA-TECH Steel Charging Handle, retails £24.95, asking £15 all in. 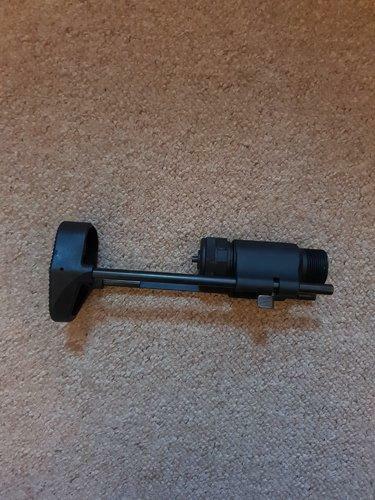 FG Airsoft High Speed Buffer, retails £18.95 and FG Airsoft Enhanced Nozzle Return Spring, retails £4.25, both for £15 all in. 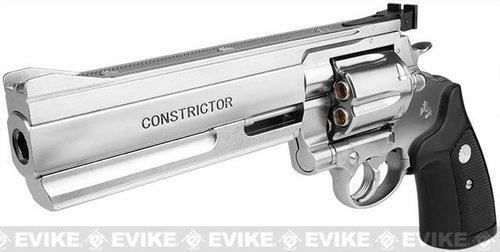 If anyone is interested in all of the above, I'm sure we can work out a fair price.